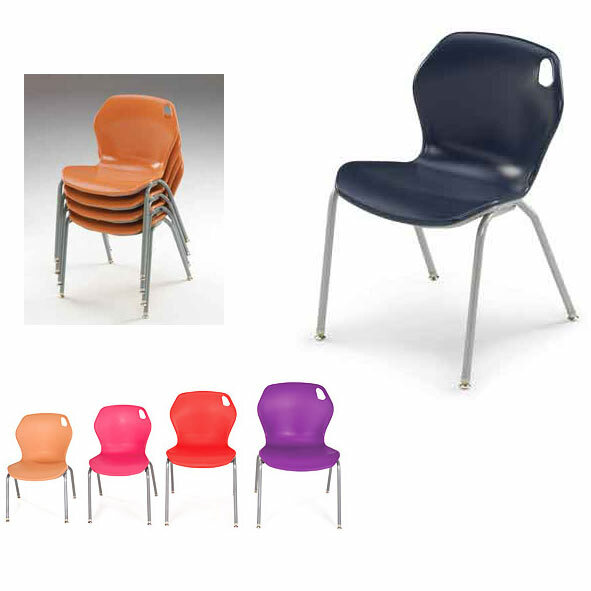 In2it Stack Chair by Smith System is designed like a bucket seat, providing great support for the back and shoulders, while comfortably orienting the student toward the front. Subtle flex in the In2it Chair’s back provides support for the student. Smith System created the In2it line of school chairs to provide maximum support and contain student movement without confining students to a particular sitting position. The stack chair features a contoured shell and ergonomic design which provides excellent support in the seat and the back. It features a stylish design with an inviting shape that encourages students to come sit and learn. 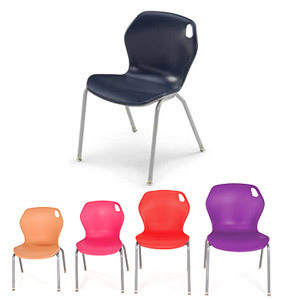 This classroom chair has ample dimensions for students of all sizes, which makes it a comfortable seating option that can be incorporated into a variety of classroom settings.